You want to study English in the England, but you don’t know where to start? Questions are multiplying in your head but you just can’t find the answers. You’re not sure if it is the right choice for you or if you’ll be able to afford it? 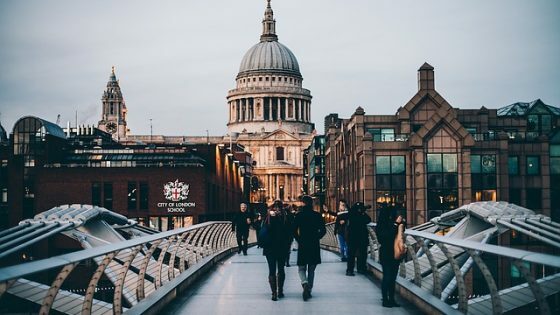 Well you are in the right place, this comprehensive guide to studying English in England hopefully has all the answers to your questions, and if it doesn’t let us know and we’ll gladly help you out and add more information. Information on the most popular cities, including what to see and where to get cheap but quality meals. How to choose the right English school for you. You might have already tried to learn English in your home country, but didn’t get satisfactory results. The best and easiest way to learn any language is to live and learn among native speakers. Learning a language is more than simply learning words and sounds; culture is just as important. Where better to get to know and immerse yourself in the culture than in the home of the English language – England. Moreover, because so many people want to study English in England, there are many English language schools, including some of the best English schools in the world. We are here to help you find the one that is right for you. The UK has a worldwide reputation for excellence in academia. Language certificates such as Cambridge English and IELTS obtained in the UK are globally respected and recognized. You may need a visa if you want to study English in the UK. You can check if you need a UK visa here. With the short-term study visa you can study English up to 6 months (if you’re under 18 years old) or 11 months (if you are 18 years old or over). The fees of the 6 month visa amount to £85 and the 11 month visa amount to £162. You can’t extend this visa and it is prohibited to work or carry out any kind of business when in the UK. The standard procedure of applying for a visa takes about 3 weeks, but you can apply even 3 months before your planned departure, so it is better to start the process early. Find out more at https://www.gov.uk/browse/visas-immigration. Language school fees usually vary between £100 and £300 for a weekly course, but the hours per week of tuition may vary from school to school, so make sure you know how many hours you get before you book. The prices depend on many factors, including: the city where you choose to study, the average number of students per class, the time of year, your specific requirements and many other factors. Consider also the fact that you might have to pay extra for materials. You should ask schools to provide you with a full price breakdown in writing before you confirm your course to avoid any unwelcome surprises. Living costs including food, transportation and general spending start at £100 per week and increase depending on your needs and plans. Check out more detailed costs of living in: London, Manchester and Brighton. There are different accommodation options and costs depending on what you choose. Remember to check your option and book in advance. Contact your school and they will be happy to help you in choosing affordable accommodation. You can get a single room in a shared house in London for £75 per week. Homestay – This accommodation involves staying with a host family and is the best option if you want to significantly improve your language. University halls of residence – University of London offers places to stay. You need to stay at least two nights. There is a wide variety of room types. Independent halls – There are other halls of residence. Minimum stay starts from one week. Hostels and hotels – Hostels offer accommodation at low prices. Choose hotels for luxurious conditions, but remember they are more expensive. Serviced apartments – Like a hotel with a more homely feel and includes a kitchen for own meal preparation. There are a few factors to consider when choosing a language school in England. Think about the city where you want to learn as there are different accents in different regions of the country. The most difficult accent for you may be the northern one. Moreover you can expect higher costs in some cities like London for example and lower costs in others. If you want to combine learning English with other activities check if they are available in the city where you choose to study. Contact school directly to ask about their offer, prices and additional costs. Schools can often help you organize accommodation as they get a lot of international students. Think about the type of course you’d like to attend – will it be general English, exam preparation, business English or intensive English? Consider your needs and how you are planning to use your newly obtained skills. Decide how long you want your course to last (1-2 weeks or longer?) and how many hours of lessons per week you’d like to have. 30 hours per week would be an intensive course and 15 hours would be a more relaxed one allowing you to sightsee and socialize. The best way to choose the right school for you is to read student reviews. Based on the experiences of other students you can make informed decisions and choose the school that truly fits your needs. Try to find a source of independent reviews, or places where students can talk about schools without having their comments moderated. Coursefinders.com is one place where you can do this, and because students have to log in with a social media profile in order to write a review you can be sure that all the reviews are genuine. Find out more about finding the perfect language school here. United Kingdom is a monarchy ruled by Queen Elizabeth II. Her Majesty has been reigning since 1952 and is the longest reigning British monarch. Queen Elizabeth has four children (Charles, Anne, Andrew and Edward) with husband Prince Philip, Duke of Edinborough. The Queen’s oldest son, Prince Charles, has been the longest royal next-in-line to the throne since Sophia of Hanover. Pants are undergarments and trousers are jeans. Chips are French fries and crisps are what you snack on. Then there’s sidewalk (pavement), elevator (lift), cookie (biscuit), trash/garbage can (dustbin), truck (lorry), post (mail) and many more! Try not to get confused. 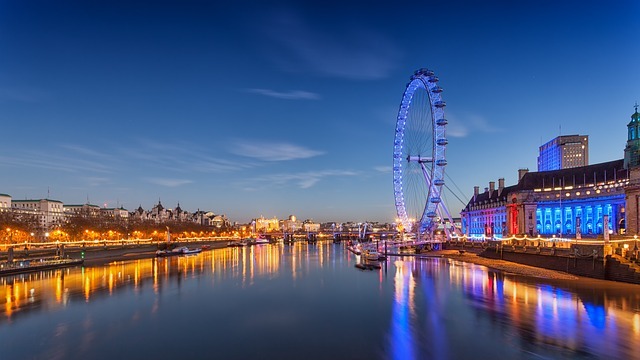 London is the capital of UK and it is its most populated city with over 8.5m people living there. The city is located in the south east of Great Britain. It has 5 airports – Heathrow, Gatwick, Stansted, Luton and Southend. The River Thames flows through London. Inexpensive restaurants and cafes can offer as flavoursome foods and drinks as the expensive ones! Pricier is not always better. These places offer quality for money types of meals. “The best things in life are free” and this quote really rings true in London! Although the capital city of the United Kingdom is an expensive one there are many things you can do there for free. Find out more about how you can Explore London for Free. 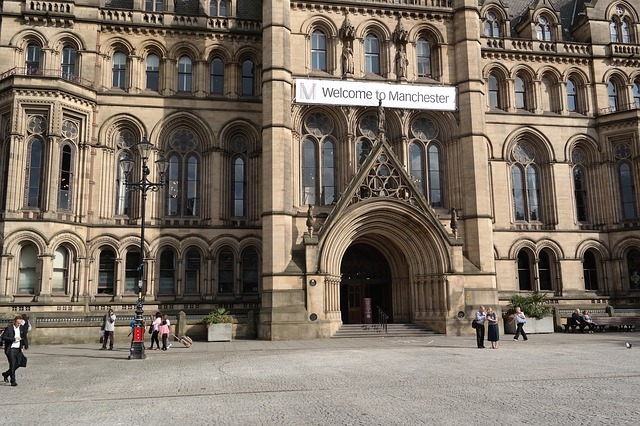 Manchester is located in north-western England with a population of over 500000 people. It’s very popular for its football teams Manchester United and Manchester City. The city has a rich industrial heritage. Changos – delicious burrito bar, burritos with chicken start at £4.65. The Kitchens – a placing housing 6 different and popular street food servers – indian food, fish and chips, chinese food, steaks and more. You can get full for £5. Splendid Kitchen – their slogan is “American food but not as you know it!”, lunch menus start at £5. Rudy’s – try authentic Neapolitan-style pizza here, a margarita costs £5.80. Bakchich – lebanese street food, shawarmas start at £3.50. Pita Pit – you can get a small turkey deli-style pita for just £3.65. Slice Pizza and Bread Bar – delicious Roman-style pizza slices starting at £2. 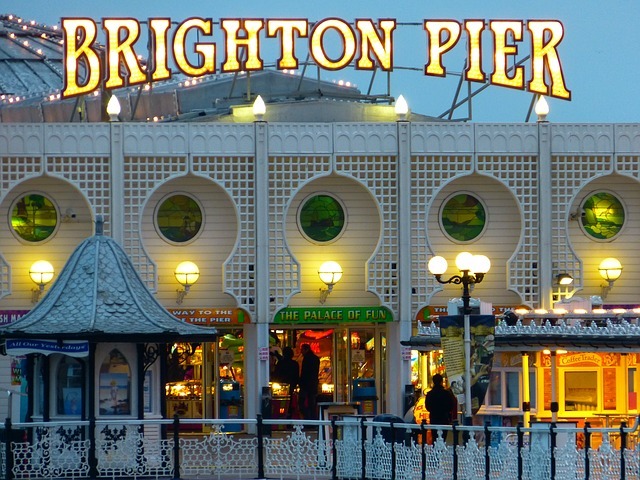 Brighton is a resort town by the seaside located in the south-eastern part of England. Its population is just under 300000. Due to its location it’s a popular destination for tourists. Bardsley’s Fried Fish Shop and Restaurant – The history of this restaurant dates back to 1926, takeaway starts at just under £4. La Choza – Mexican street food, mains start at £6.75. The Lion and Lobster – try unconventional dishes in this traditional pub, main dishes start just under £10, but you can get full with just a starter for under £6. Pizza Face – pizzas with quality ingredients, margarita for £6, other flavours mostly under £10. Pompoko – japanese restaurant with typical dishes other than sushi, spring rolls for £2.40 and chicken stir fried noodles for £4.90. Foodilic – high-quality, nutritious and delicious produce, all you can eat buffet for lunch for £6.95. Preparation to study abroad is the key to reducing stress and making sure you have the best possible time while you are away. Paperwork – find out if you need a visa or permit, consider getting insurance and ask your school for any other paperwork you might need to prepare. Choose the right school for you – this is the most important step, make sure to read reviews from other students like you to make an informed decision. Research – do some research about the place you’re going to visit. Find out about the weather, popular places, where you can get help, check out transportation options and more. Book your accommodation – choose the right accommodation for your needs and make a reservation in advance. Pack the right things for the type of accommodation you have chosen. Get checked out – visit your general doctor and make sure you are healthy and ready to travel. Book your flight – book your flight in advance for best prices. Remember to check what size of luggage you can take with you. Plan your finances – you will be able to estimate your costs based on the information in this guide. Remember to include a little extra money for unexpected expenses. Packing – think about what you should and can take with you. Consider the weather and your luggage space. Keep in touch – plan how you’re going to stay in touch with your family and relatives, don’t forget to inform them about it! The first 24 hours are going to be the most overwhelming so be prepared. Make sure you know how to get from the airport to your accommodation. How will you get from where you are staying to your school? It’s best to report to the school as soon as possible, because they will provide you with all necessary information and can most probably help you with any of your problems as most schools have a lot of experience with international students. If you are going to be using public transport on the first day, do you know where to get on and off and how you will pay for it? Have all necessary information (name, address and phone number of the school and your accommodation, and your on and off stops ) written down on paper, as batteries tend to die at the worst possible time! Also consider you might not have access to internet. Remember that you can always ask someone for information or help. 112 or 999 are emergency numbers for emergencies requiring medical help, or help from police, fire brigade, coastguard. Call 111 for non-emergency medical issues or visit https://www.nhs.uk/pages/home.aspx for more information. UK Council for International Student Affairs is a source of online and on land information and advice on international student affairs (in London). Essential contacts for international students from the British Council (including visa and immigration information, help for international students and more). Check out the CoursFinders Blog for articles on languages, learning resources, studying abroad and more. Find your perfect language school with CourseFinders by searching English in England.